What’s the secret to success in the private sector, we hear you ask? One person who might know the answer is Richard Branson, who recently shared his top tip on how to get the most out of a business and its employees. You may (or may not) be surprised to learn that his one piece advice was to... reward staff with amazing parties! The Virgin Founder stressed the need for governments to create a fun environment for their staff in the workplace. Celebrating staff has always been a part of the Virgin way, so here is a look back at just some of the staff parties we’ve been lucky enough to enjoy at Virgin in recent years! Virgin Management's moving in party at the Battleship building. This photo was taken shortly before we were given an ASBO... whoops. If your staff feel valued, appreciated and loved, they are more likely to enjoy their work and perform even better. Every year Virgin celebrates the amazing achievements of its staff by throwing them a massive party at Richard Branson's Oxfordshire home. This year was the biggest ever, with moulin rouge dancers and staff being flown in from all over the world. 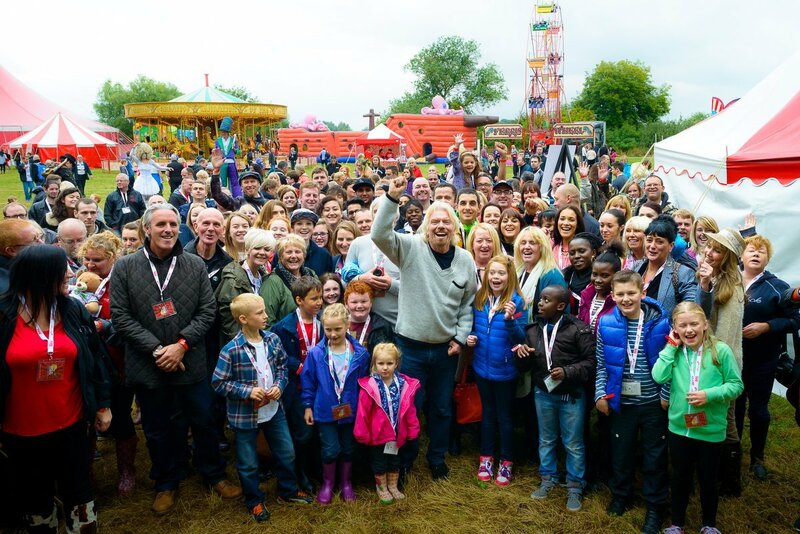 Virgin Care and Virgin Trains joined forces for a fairground themed extravaganza at the Branson's Oxfordshire home. Read more about Richard Branson's views on parties in his blog.